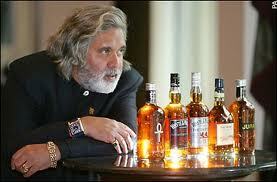 Finally some good news for Vijay Mallya, India’s king of good times. Ending months of speculation, British spirits giant Diageo inked a deal Friday to acquire a majority 53.4% stake in Mallya’s Bombay Stock Exchange-listed United Spirits, for over $2 billion. Snatching India’s largest liquor company which has a 55% market share with sales of close to 123 million cases annually, positions Diageo in an important emerging market that it has been trying to get a foothold in for a while now. Diageo now gets a jump over Pernod Ricard which so far had a stronger market position in India.